In support of the Cinemalaya classic film Boses (Voices), World Vision Development Foundation, Inc., led by its senior board members Glicerio Abad and David Huang, recently joined the premiere showing of the advocacy film which relevantly touches the issue of child abuse in a well-told story filled with compassion and hope for children. "The film’s difficult theme, drawn intricately by Direk Ellen, captures our hearts and challenges us to care more about the fragility of our children’s protection and well-being,” shares Filomena M. Portales, interim national director of World Vision, in her official endorsement of Boses. “It pushes parents, the government, decision makers, NGOs and other civil society groups to uphold the protection of children and prevent all forms of violence including abuse, neglect and sexual exploitation. It calls for a strong collaboration [of the different sectors] towards a political will to make child protection a priority agenda of the government,” she added. “We should focus on child protection and family wellness. When we focus on the children of our society, so many blessings will come,” shared Boses Director Ellen Ongkeko-Marfil as she opened the premiere evening held last July 23, 2013 at the SM Megamall, Cinema 9. After its debut in the prestigious Cinemalaya film fest last 2008, Director Marfil finally decided to venture Boses into mainstream distribution following positive reception and insistent demand from various advocacy groups, government agencies and the academe. Last summer, as part of director Marfil's advocacy partnership with World Vision, Boses also inspired the child-focused ministry's community partners and field staff in its special screening during World Vision's Children's Congress in Cavite. It was also shown in the recent National Education Forum organized by World Vision. The forum was attended by education practitioners from different parts of the country. As a child-focused organization, World Vision is committed to making child protection a top priority. It strives to promote an environment that is safe for children through its advocacy programs and partnerships with like-minded groups and initiatives such as the film Boses. Partners in stopping violence against children. Filomena M. Portales, interim national Director of World Vision with Boses director, Ellen Ongkengko-Marfil at the premiere night last July 23. “Boses will make the viewers realize that it would really take a village to raise a child. World Vision is one with Direk Marfil and the rest of the cast and crew of Boses in crying out to stop violence against children and for parents to use positive discipline rather than corporal punishment in teaching them right values,” said World Vision Advocacy Manager Kathrine Yee. 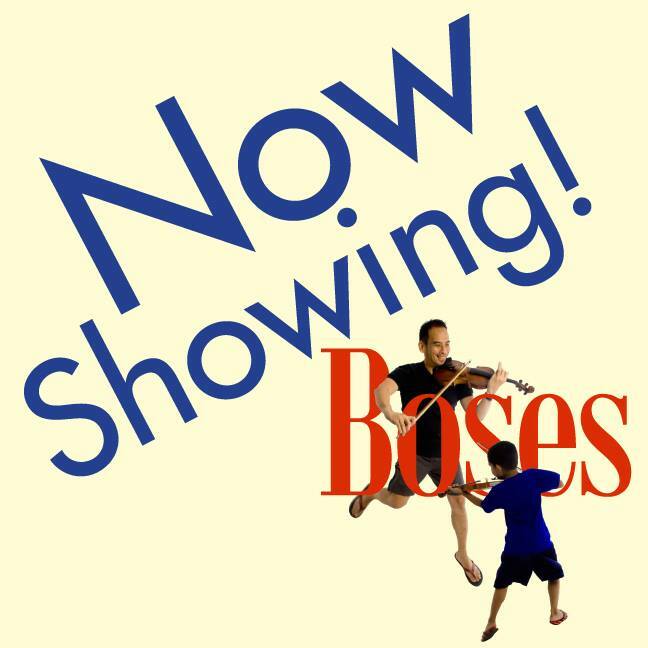 Boses tells the story about a mute boy who gets rescued from the violent hands of his father and found a safe place in a child-friendly shelter house which leads him to a unique friendship with a reclusive violinist who eventually mentors him. Both seek their joy in playing the strings as they cope with pain and find healing through the power of music and unconditional love. The critically-acclaimed film, which also earned raving reviews from its exhibitions abroad, boasts of a powerful musical direction with Filipino pride world-renowned violinist Coke Bolipata at the helm and child music wonder Julian Duque, who both had their first acting stint in the movie. Veteran thespians Ricky Davao, Cherry Pie Picache and Meryll Soriano complete the brilliant cast. The movie is set for a nationwide release at SM Cinemas starting July 31. For more details, visit and like Boses the Movie page on Facebook.